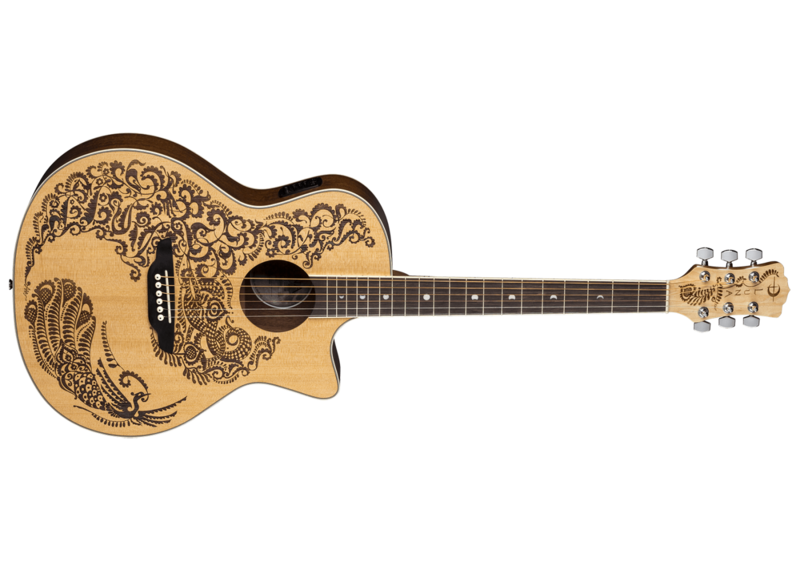 "The pattern I chose for Luna's Henna Paradise guitar is based on the art of Medieval Spain. The culturally rich and diverse period is the only one in which Henna was grown and used as a cosmetic in Europe. The era also was historically important in development and growing popularity of the guitar." 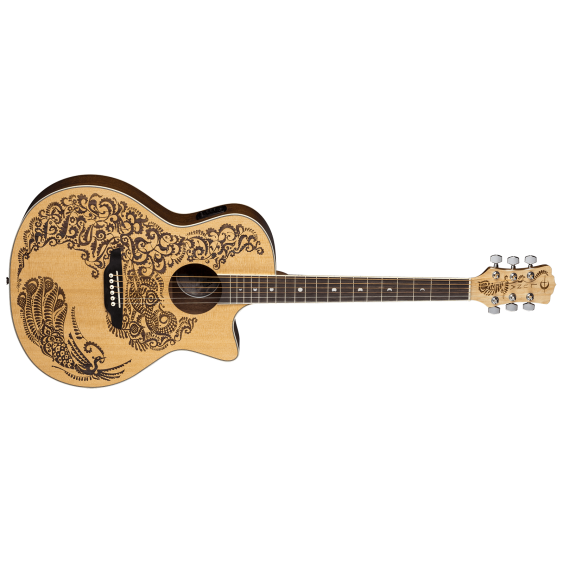 UK Henna Artist Alex MorganThe Henna Paradise Select Spruce is an acoustic-electric guitar built on a folk body design and showcases a beautiful laser-etched Henna Paradise design on a select spruce top. 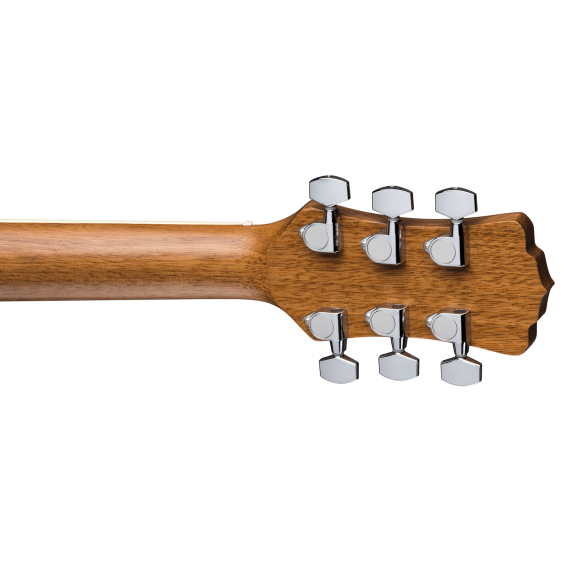 The mahogany back and sides with a select spruce top create rich definition from note to note with plenty of presence and unique character when playing rhythmic chords. 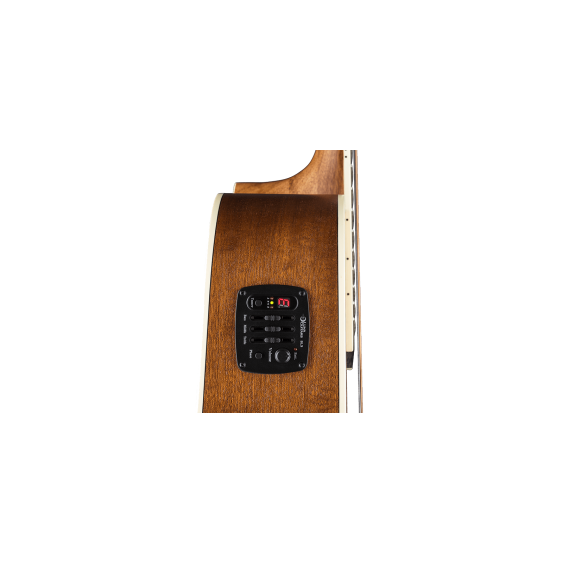 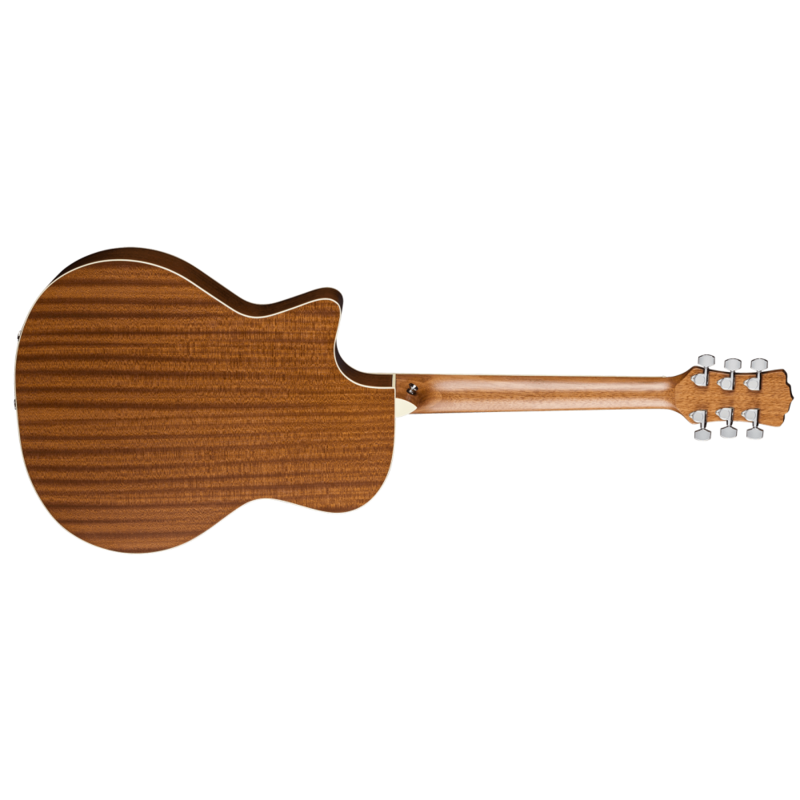 Offering a slightly smaller folk body shape, 25-1/2" scale, C-shape neck design, and 1-5/8" nut width add comfort for performing intricate progressions on the rosewood fretboard. 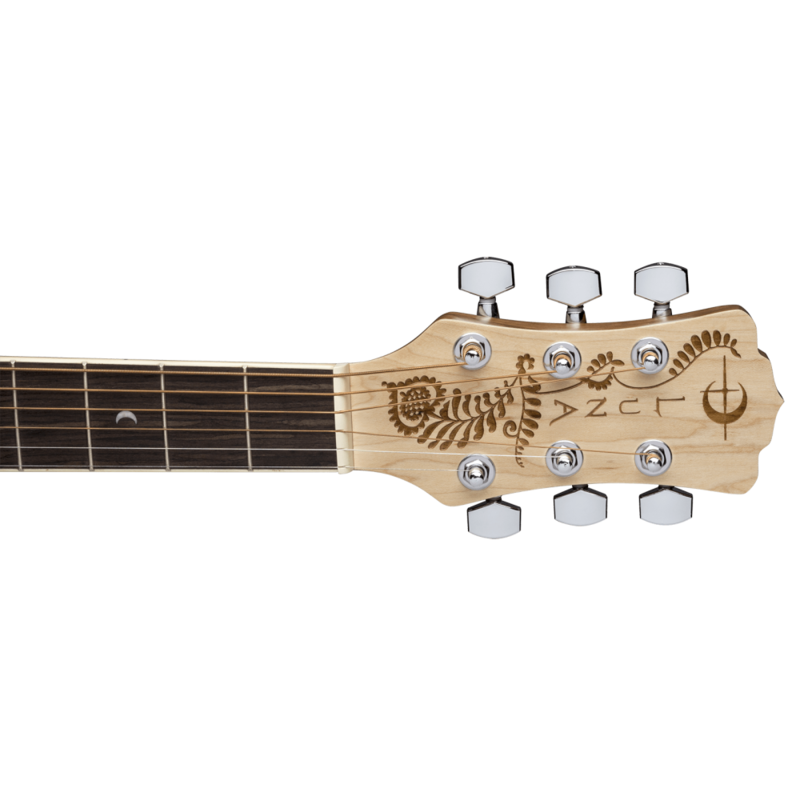 The Luna SL-3 pre-amp system with built-in tuner faithfully recreates the amplified sound of this impressive 6-string. 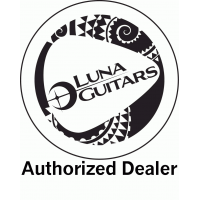 Join the Luna Tribe!Laser-Etched design by UK Henna Artist Alex Morgan.